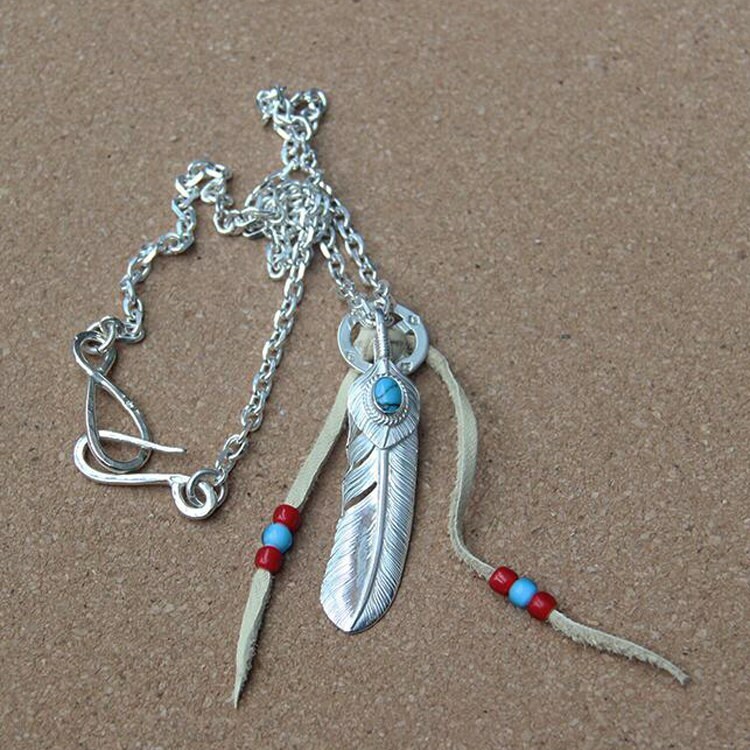 The silver feather necklace is a beautiful piece of Native American inspired jewelry. 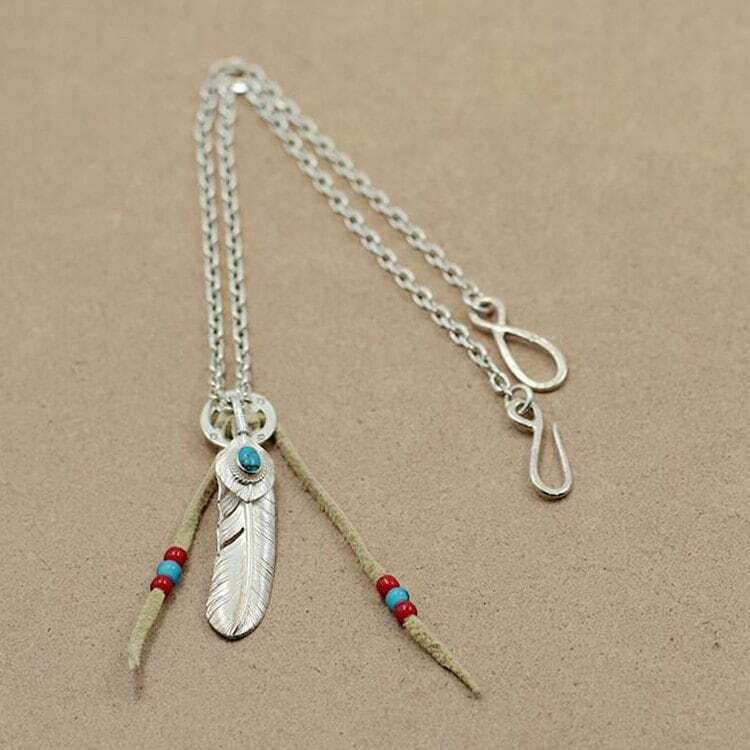 The centerpiece feather charm is actually a bunch of two silver feathers - a larger feather, and a smaller feather with a turquoise gemstone. 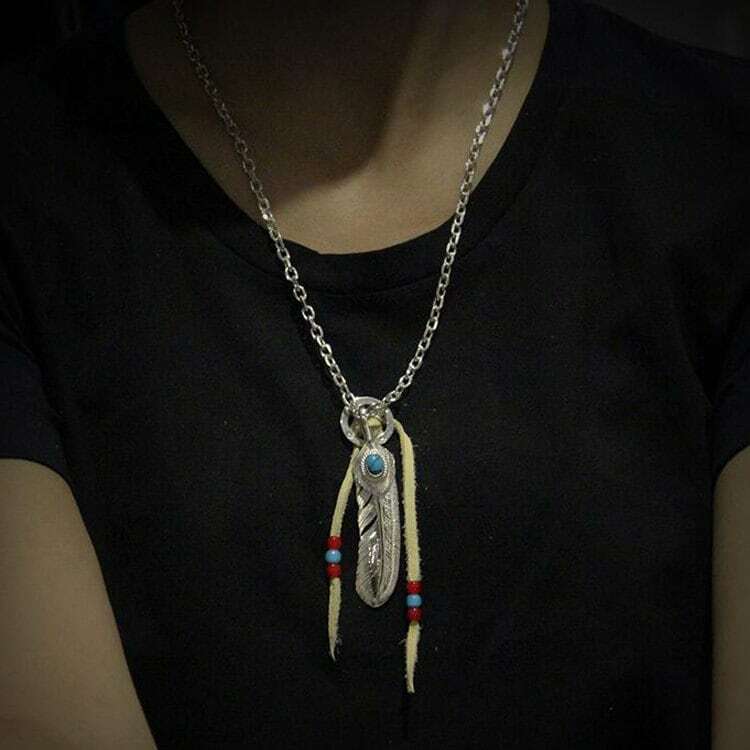 Both are tied with their quills to a peace sign charm. 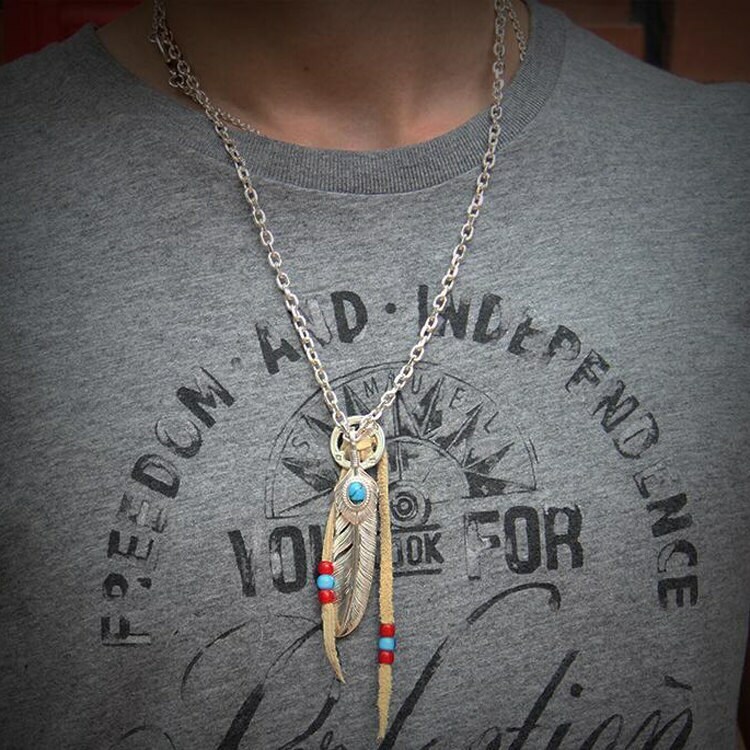 A length of deerskin string passes through the peace sign, with colorful beads arranged on its both ends. 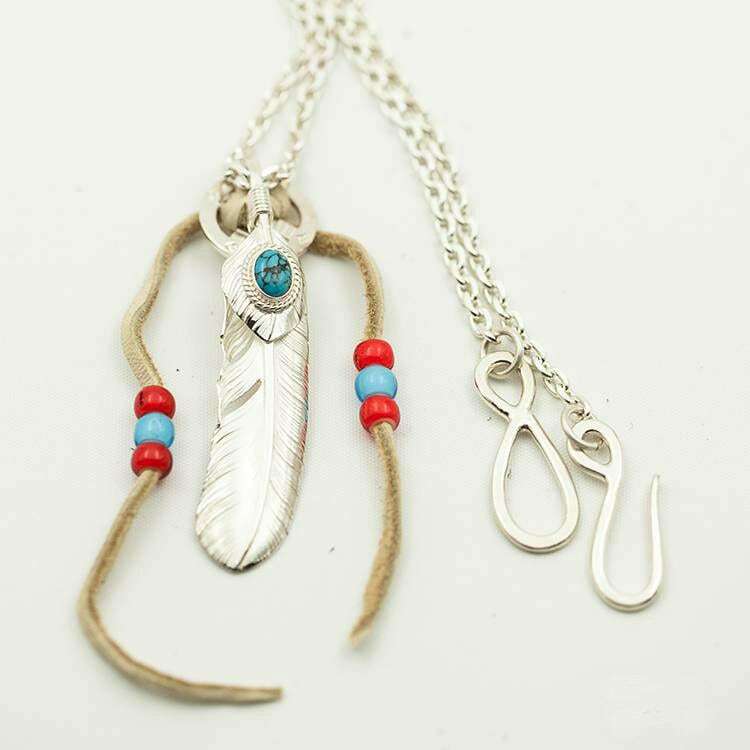 The silver chain is plain and simple, with two large hooks to close the necklace. Chain Length Options: 50cm/19.7inch, 55cm/21.7inch, 60cm/23.6inch, 65cm/25.6inch.